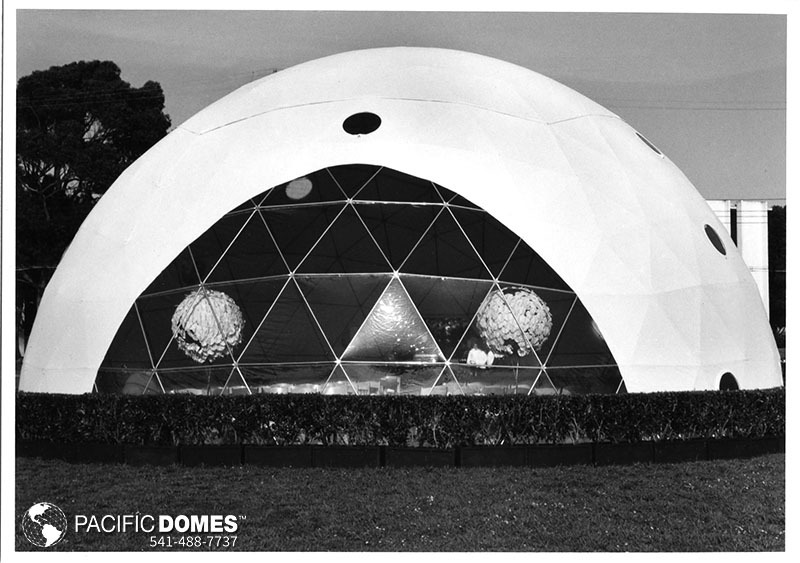 “Event Hosting Solutions Are Our Specialty” — Pacific Domes, Inc. Adding a touch of elegance to your special day, a stately white geodesic wedding tent invites guests to partake in your blissful union in an unforgettable and unique venue. 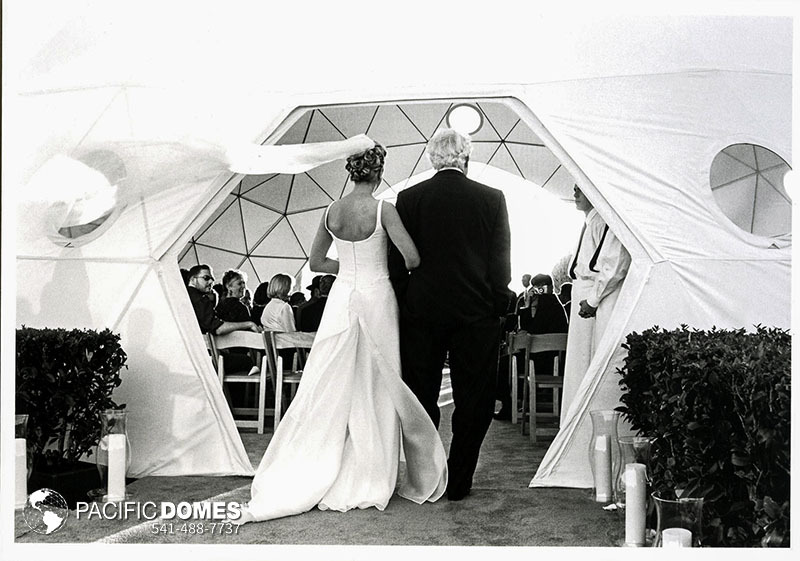 Pacific Domes has fully customizable wedding tents for sale, so you can say “I do” against the backdrop of your dreams while simultaneously providing a safe haven for guests in the event of inclement weather. What’s your favorite spot on the planet? 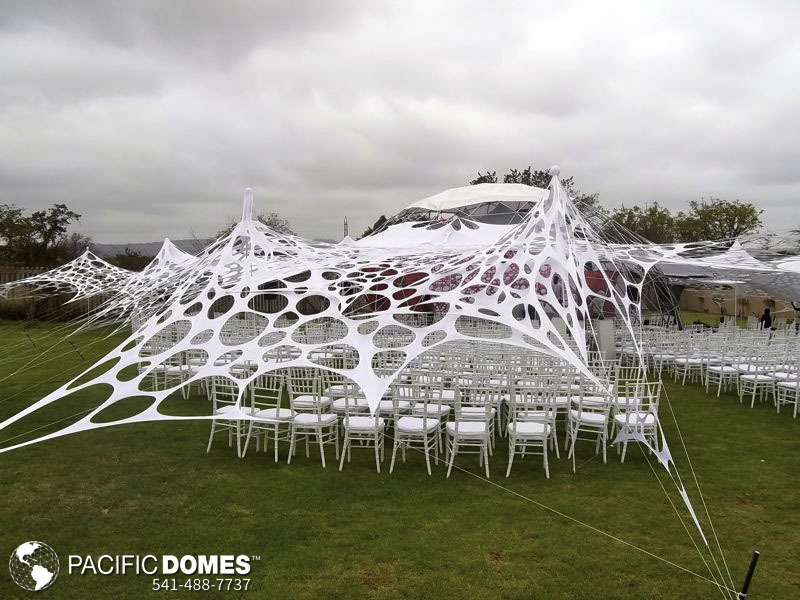 When planning a stress-free outdoor celebration, look for world-class wedding tents for sale from Pacific Domes to create an elegant ceremonial space. Portable wedding tent kits are delivered direct to your chosen location to be set up in hours by trained field teams against your favorite scenic backdrop. Beachside Weddings – With so many beachside resort towns and private beaches to choose from, what could be more romantic than a glamorous beachside wedding? 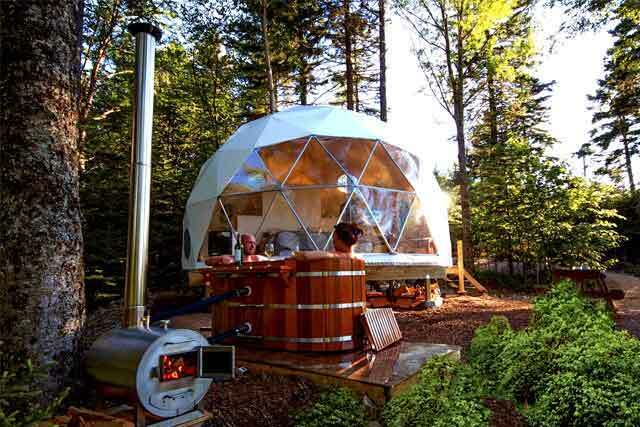 You’ll appreciate a dome’s portability and quick installation, so you can focus on what matters most… enjoying your once in a lifetime moment. Park Weddings – With lots of room to entertain guests, park weddings are a popular and affordable option for those who want an outdoor wedding without much hassle. If you’re a nature lover, most local parks, State Parks and National Parks provide unique opportunities to host your dream wedding during the spring, summer or fall. Set against a backdrop of trees, mountains or lakes, geodesic wedding domes help make your outdoor wedding photos picture perfect! Tropical or Emerald Isle Weddings – If the lure of enchanted tropical islands calls to you, there are existing geodesic dome resorts around the globe, ready to accommodate your special event. Remote tropical resorts are happy to assist you with designing your wedding theme. Or you can rent a villa somewhere like the British Virgin Islands, and ship your dome to the location for set-up on a private beach. Mountain Weddings – When you say “ I Do” against spectacular mountain backdrops, you and your guests are already half-way to heaven. Whether it’s the Rockies, the Alps, the Andes or your favorite local mountain destination, eco-friendly wedding tents go up anywhere adventurous humans can travel. At-Home Garden Weddings – Whether simple or elaborate, everyone loves garden wedding parties that provide a warm sense of bonding amidst familiar surroundings. Lemonade, pink satin and old fashioned sugar cookies harken back to a simpler time, and your guests will love the shared sense of nostalgia you provide with tokens of a bygone era. Add a touch of elegance with a wedding dome kit and you’ve managed to make your day unforgettable for all in attendance. 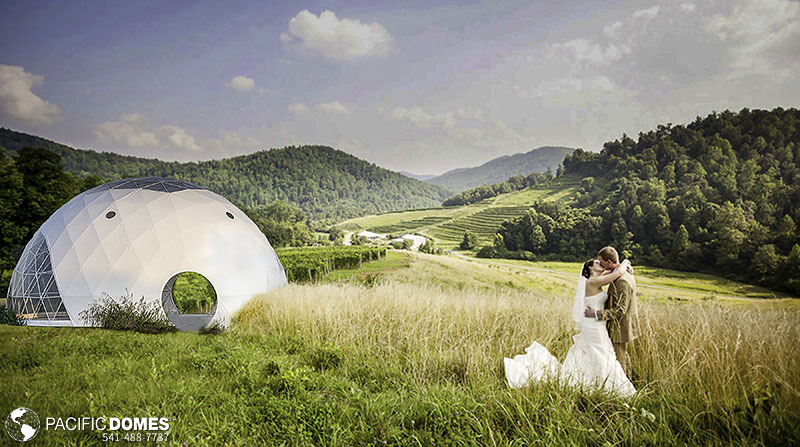 There is something majestic and unquantifiable about geodesic wedding domes, and the design possibilities are endless. Lightweight stretch wedding décor can provide shade and add glamour to enhance natural and artificial lighting. 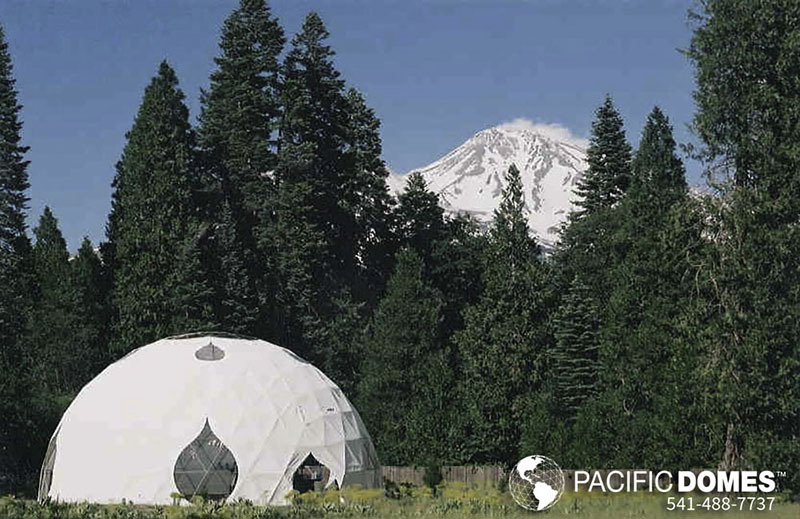 Whether tying the knot in a traditional resort-style wedding or a more bohemian natural setting, be sure to visit PacificDomes.com for a list of wedding tents for sale.